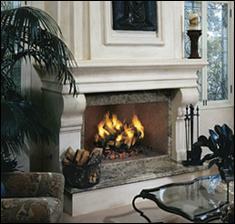 The essence of each and every Regency gas fireplace is the unique flame. Without question, it's the best in the industry. 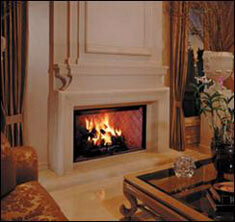 With its dancing flames and glowing embers, the Regency fire looks just like a wood fire. We have carefully researched current trends to develop a line of stylish options which allow you to uniquely tailor your Regency to your home. Choose from a range of exquisite options for a very special, custom look of your own. I am so confident in the quality workmanship, the finest materials, and durable heavy-duty construction invested in each and every product, that I offer a Limited Lifetime Warranty. We know that you will be as proud of your Regency as we are - I guarantee it. 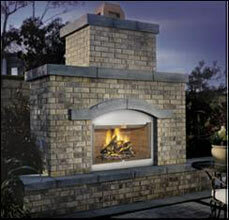 Begun as a family owned and operated manufacturing business a quarter century ago, FMI began producing a single, zero-clearance wood-burning fireplace. Today, we have earned worldwide recognition as a leader in the development and manufacture of state of the art wood and gas fueled hearth products. At FMI we utilize lean, “Just in Time” manufacturing together with continuous improvement processes widely recognized as the best manufacturing system in the world. These methods enable us to react quickly to our customers’ needs, while offering them the best value in the industry. 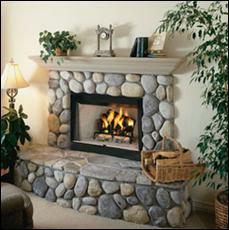 Providing our customers with exceptional products and customer service for 25 years has made FMI the #1 fireplace choice for builders.